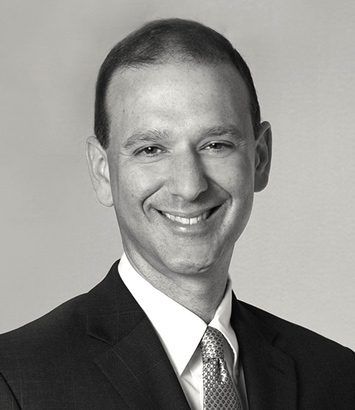 Alan Abes is a litigation lawyer in Dinsmore's Cincinnati office. Alan is co-chair of the Commercial Litigation Practice Group, vice chair of the firm’s Diversity Committee, on the firm’s Recruiting Committee and Cincinnati Pro Bono coordinator. He litigates regularly in state and federal trial courts around the country. He handles breach of contract and complex commercial claims across many industries. He represents debt buyers in class action and individual consumer cases brought under the FDCPA and related state law. He has long helped insurance carriers handle or litigate challenging claims. Alan is also solicitor for the Village of Fairfax, Ohio and regular or special counsel for several Ohio joint fire districts and political subdivisions, advising them across the spectrum of their operations as public servants. He is experienced arguing in state supreme court and intermediate state and federal circuit courts of appeal. He is also experienced at assessing claims early, mediating or resolving them informally to mitigate risk and control cost when that is the best course and assisting with efforts designed to prevent or limit claims before they arise. He likewise uses his experience to serve the community and the legal profession, and appreciates all that he learns from others when doing so.